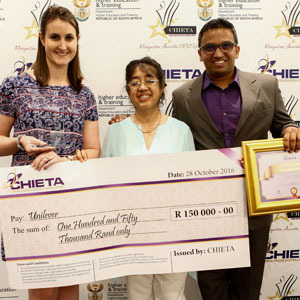 Recently certified as the number one Top Employer in Africa, Unilever, has been recognized for their efforts in skills development at the CHIETA 2015/16 National Recognition Awards Ceremony. The FMCG giant received the ‘Best Innovation in Skills Development’ award for the Unilever and Wits University Engineering Program which was launched in January of 2016. Competent engineering is essential for a wide-range of basic needs, which is critical to meeting South Africa’s National Development Plan goals. The reality however is that South Africa is severely under-engineered and one of the biggest challenges this sector faces is the shortage of new skills. According to the Engineering Council of South Africa (ECSA), in South Africa one engineer services 3,166 people, compared to Brazil’s 227 and Malaysia’s 543 per engineer. The discrepancy in this benchmark points to one thing: urgent skills development is required to meet the country’s growing infrastructure demands. “This award is proof that industry, academia and government need to work together to solve the challenges faced by the country. 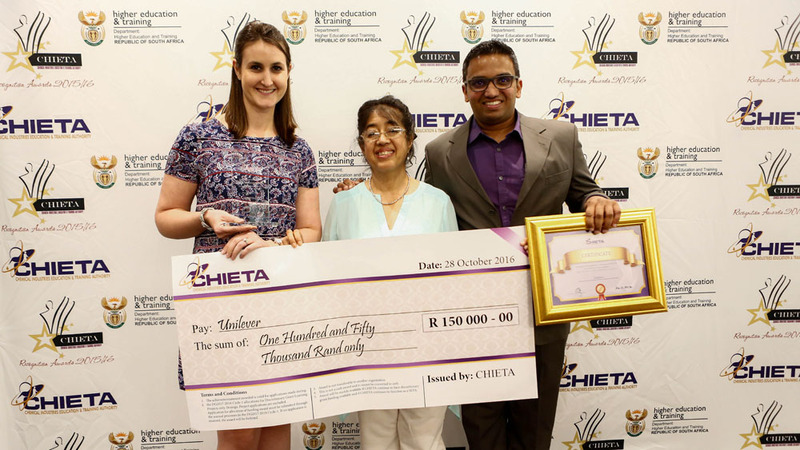 The R150 000.00 prize money that forms part of the award will be spent on discretionary learning projects,” concluded Chetty.